What is the best Intel processor for 2019? Today, we’re going to cover four of our top picks for best Intel processor. While there are a lot of great Intel Core processors, these are ones that represent the best of their respective niche and price range, either in value or sheer performance. When buying a CPU you want to take into account your specific needs– you don’t just want to buy the latest Intel processor– that’s why we tried to do our best to cover a breadth of use cases so that it’d be easier for you to find the perfect CPU for your needs. We’ve even slid in a few more alternatives in the margins, just in case you’re extra discerning (or just aren’t interested in overclocking). We’ll also make sure you understand how these CPUs perform in relativity to each other, though it won’t boil down to any old i3 vs i5 vs i7 battle. Let’s get into it. The Intel Core i3-8100 is our pick for best budget Intel CPU. While a few even cheaper options exist, this is generally where you’re going to start seeing a decent bang for your buck. Prior to the launch of AMD Ryzen processors, the Core i3 line was populated by dual-core CPUs, occasionally with hyperthreading enabled. Since Ryzen has launched, Intel has been forced to ship true quad-core i3 processors to stay competitive with AMD, which bodes well for consumers at large. If you’re building a budget gaming PC aimed at playing games at 1080p and max settings, the i3-8100 is perfect for your needs. This CPU shouldn’t bottleneck any midrange GPU playing games at 1080p and should allow you to achieve respectable framerates, especially in eSports titles. It’s important to note, however, that this processor comes with many caveats. There is no boost clock frequency or overclocking capabilities, so 3.6 GHz is all you’re going to get with this one. Even for non-overclockers, boost clocks allow for higher CPU performance under the right cooling conditions, which is not the case here. If all you need is a budget CPU for your gaming build, though, it’s tough to go wrong with the i3-8100. Just make sure your budget can fit a GTX 1660 or RX 580! The Intel Core i5-8600K is a six-core processor built to target gaming users. While the point about 4 cores usually being good enough for gaming is true, there are cases where a few extra cores might come in handy, especially if you’re playing a modern game optimized to use all available cores. 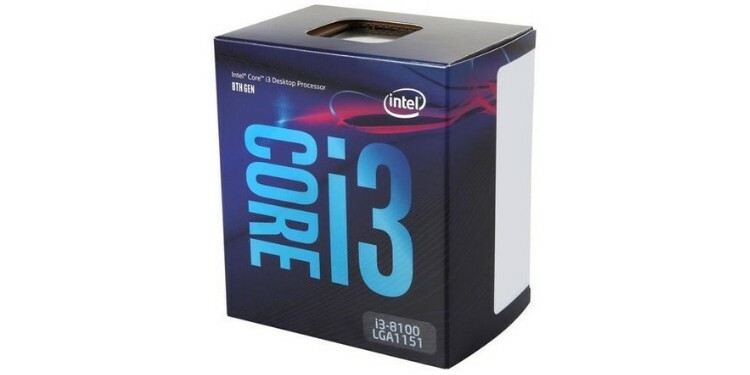 Even without the extra cores, you have a number of benefits over the Core i3 processor listed above. Pitting i3 vs i5, you get the aforementioned two extra cores, the addition of a boost clock (up to 4.3 GHz), and overclocking capabilities. That results in a massive performance benefit-- up to 31%, in fact. This speed boost should translate to better performance in games at higher framerates, like 100 or 120 FPS. With less-CPU intensive titles, you may even be able to push your games as high as 144 FPS-- provided you have the right graphics card to back this card up, of course. With six cores this powerful, you should also enjoy considerably faster video rendering and live streaming performance versus the i3, but not the best on the market. Even without overclocking, the Turbo boost by itself means this CPU will reward those who invest in a great cooling setup. Keep that in mind if you decide to go with this one. Note: This CPU has a generally-identical 9th Gen equivalent. 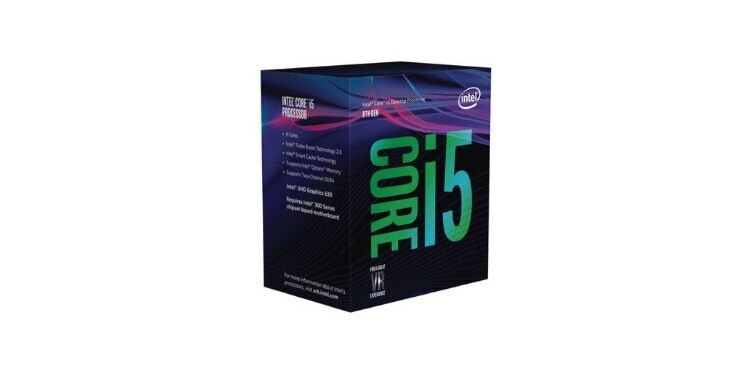 If you’re looking for the best i5 processor, don’t overthink it; just buy whichever is cheaper. Add. note: Don’t want to overclock, don’t need integrated graphics, and want to save a few bucks? Get the 9400F instead. 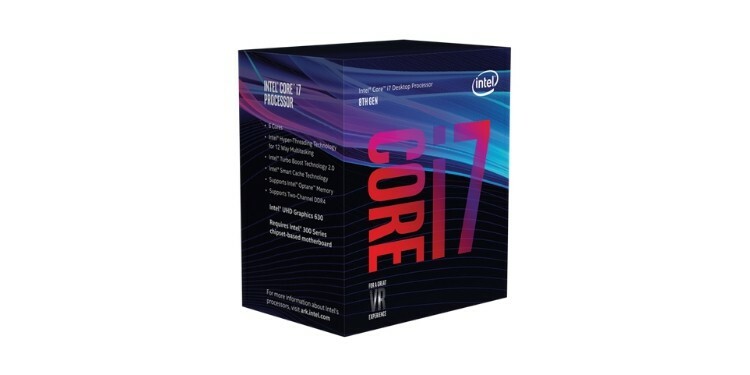 The Intel Core i7-8700K is a favorite among enthusiasts (it’s also arguably the best i7 processor). Like the i5-8600K before it, the i7-8700K boasts superb single-core performance. This helps make it a favorite among gamers, though at this point… you have something that’s a bit overkill for gaming on its own. Evaluating the i5 vs i7 battle, you don’t see as big a performance leap. Your single-core performance increase is going to be marginal. The real benefits of i7’s are seen in their multi-core performance, which is as much as 44% better than the 8600K. That means far better performance in Twitch streaming, video rendering, and professional applications than the i5 can achieve, even with a great overclock. For those who are just gaming, the main use of a CPU like this one has to do with more consistently pushing 144 Hz-- or faster-- displays at matching framerates. In the case of things like a BenQ’s 240 Hz display, even this i7 chip might not be enough. This can also be considered a futureproofing purchase since more games are beginning to use multi-core CPUs to their fullest. Note: This CPU has a generally-identical 9th Gen equivalent. Buy whichever is cheaper. Add. note: Don’t want to overclock and want to save a few bucks? Get the 8700 instead. The real battle isn’t i3 vs i5, i5 vs i7, or even i3 vs i5 vs i7. No, no. The real battle is every other CPU in existence versus the i9. 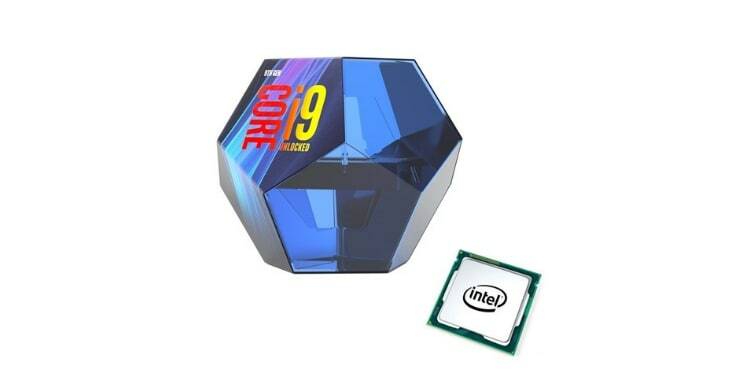 If you were to do an Intel processor comparison, you’d see the i9-9900K boasts the fastest single-core performance of any processor on the market, bar none; it’s not just the best Intel processor, it’s arguably the best computer processor, period (at least in terms of performance). Its multi-core performance is no less impressive. Disregarding the Intel Extreme Edition and AMD Threadripper processors (which are not consumer processors, no matter how much they insist they are), the Intel Core i9-9900K offers the best multi-core performance of any consumer-grade CPU. See for yourself. Even compared to Intel’s own best and brightest, the i9-9900K simply dominates. If you plan on gaming at 240 Hz, Twitch streaming, or really anything, the i9-9900K has you covered. Where Extreme Edition and Threadripper falter severely in single-core performance for better multi-core performance, the 9900K manages to provide stellar single and multi-core performance beyond anything else on the market. If you have truly high-end tastes, or you simply don’t want to upgrade for a very long time, the i9-9900K is the right CPU for you. If you value your wallet (or the stuff in it) at all, though, you may want to consider one of the other processors on this list. If you didn’t understand all the specs and lingo we were tossing around earlier in the article, don’t worry: we’re here to help. This section should help you better understand what everything meant, but if you have additional questions…feel free to comment below. In the olden days of processors, “cores” did not exist. Rather, a core by itself was considered the processor, and the later addition of cores was akin to bundling multiple processors in one. Nowadays, dual and quad-core processors are the standard, with the idea of a single-core processor being outright laughable and unheard of to today’s consumers. A “thread” is something similar to a core. Think of a thread as the way a core is viewed by your OS– a virtual core, if you will. With most processors, software threads and hardware cores are identical! Typically-speaking, your most important metric for gaming performance will be single-core performance. Most titles are not optimized to use any more than four CPU cores, but a few cutting-edge games exist that break this trend. Additional cores and threads aren’t really for gaming purposes. Instead, these will be more useful to Twitch streamers, video creators, and professional use. Keep this in mind when evaluating the CPUs above. Clock speed is a measure of…well, speed. Specifically, the effective speed (measured in Gigahertz) of a processor’s cores. Base clock speed refers to the average clock speed the CPU may operate at (unless power-saving is enabled by the OS, in which case the CPU downclocks), and boost clock speed, or turbo, refers to the maximum speed the CPU can reach. “Overclocking” refers to the practice of manually setting higher clock speeds in order to achieve more performance. Once upon a time, you could do this with any processor, but nowadays this feature is locked down to specific CPUs and motherboard architectures. With Intel in particular, only processors whose names end in K can be overclocked. These overclockable CPUs will also need either a Z370 motherboard or Z390 motherboard to utilize their overclocking functionalities. All of this being said, you can’t necessarily compare clock speed across generations of CPUs because their architecture makes them too different to compare. Well… while this isn’t always the case between generations, here it’s mainly the numbers. Sometimes there’s fewer threads, a higher core count, or a higher clock speed, but in terms of effective speeds, 8th and 9th Gen Intel CPUs are closer than ever. They also operate on the same motherboards, though 8th Gen motherboards may require a BIOs update before they can be used with 9th Gen CPUs. Always be sure to check with the manufacturer that your 9th Gen CPU is compatible if you aren’t sure. In the case of 8th Gen vs 9th Gen, we honestly just recommend buying whichever is cheaper.